We don’t need more technology, we need someone to find a true use for Virtual and Augmented Reality. Apple is just be the firm to do it —since it’s done the same thing twice before. For this discussion, it doesn’t matter if you call it Virtual Reality or just Augumented Reality. If either were any good, you’d be using one or the other, daily, now. Instead, we’ve been promised both for decades, and there is always another company just about to bring out a headset that none of us will ever wear. After all, there was a VR helmet back in 1968. While it’s true that Apple is always late to a market, 51 years is pushing it. After all this time and all the failed attempts to get products to market, you’d be forgiven for hearing the rumor that Apple is working on an AR headset and thinking, sure, good luck to them. That’s been the goal of every VR firm ever —and usually what happens is that the companies switch around to aim at business and enterprise users instead. Microsoft’s Hololens was aimed at developers making products for consumers but the company’s Hololens 2 is much more specifically targeted at business. If you’re a fan of VR or AR then you could and maybe even should be excited at Apple being so determined on this front. Not only is the company talking about it when it rarely discusses anything to do with future projects, but in February 2019 it even hired a head of marketing specifically for Augmented Reality. Apple thinks its got something good here and hopefully it has. Yet it’s six years since Google thought it had something great with Google Glass, the spectacles that offered on-lens digital information. And it’s about five years, eleven months and 25 days since what few users bought the hardware were being called Glassholes. Just as with Microsoft’s Hololens, the Google Glass project continues but it’s no longer even trying to get traction with consumers. Instead, what Google Glass development there is, is focused on enterprise customers. This should remind you of something else. We’ll come back to that, though. Even though it was derided, Google Glass arguably remains the most well-known of the attempts to make a VR product. If you’re a little more tech-savvy then you have of course heard of Oculus Rift. Yet after years of waiting for that to arrive, though, it’s come and made little impact. 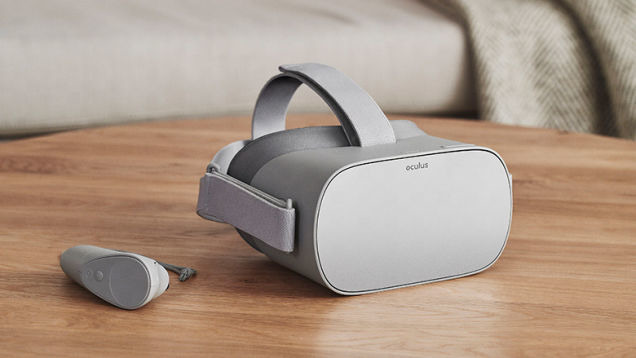 You can buy Oculus Rift with its large headset for $350 now. And Google Glass was lightweight, or at least comparatively so. It’s easy to say, then, that what we need is for someone to find a way to put that affordability and lightness into a single product. 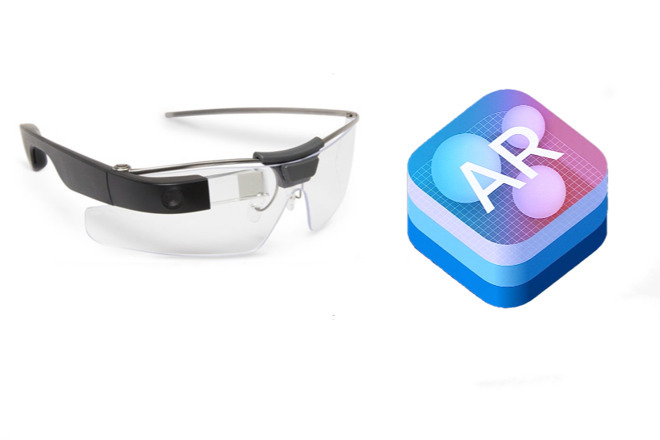 It’s tempting to think Apple will do this, but really Virtual Reality and Augmented Reality is missing something else. And it’s something that Apple might be the right firm to find —because it has done before. There will always be refinements and improvements, but broadly speaking, the technology for VR and AR exists. Apple has been here before, though, and turned other people’s technology into its own mass success at least twice. Apple did create the idea of multi-touch but that’s an extension and refinement of the already existing technology. What Apple did was find a use for it. Siri existed as a separate app before Apple bought it and integrated it into iOS. Even Apple itself had previously had speech recognition with VoiceOver from 2005. That was assistive technology to help OS X users direct their Macs through spoken commands. It was good, it was great that Apple did it, but you’d be excused for not having heard of it. Whereas, once we had Siri, we had Microsoft’s Cortana, Google’s various voice apps Microsoft’s Cortana“>https://appleinsider.com/articles/14/11/06/amazons-echo-is-a-siri-like-virtual-assistant-for-the-home. You can make a strong case for each of them being better than Siri, and Alexa has become the household name. Yet none of them came until after Siri. Right now we have the technology and it’s being used in business. Plus, there is a growing world of VR in gaming, yet in both cases it’s a niche product. If Apple has figured out a way to make it useful, that’s what could make it mainstream at last.